*THIS IS AN END UNIT* VIEWS! VIEWS! VIEWS! THESE ARE THE BEST VIEWS IN THE CITY! WHY SPEND OVER A MILLION $ TO GET A VIEW IN LOHI & THEN HAVE TO DEAL WITH THE NOISE FROM I-25, WHEN YOU CAN GET AN EVEN BETTER VIEW HERE AND BE BLOCKS FROM SLOAN'S LAKE! YOU MUST SEE THIS HOME, IT IS NOT LIKE THE REST! THIS DEVELOPER PRIDES HIMSELF IN GOING ABOVE AND BEYOND THE COMPETITION! THERE IS NOTHING CHEAP ABOUT THIS HOME! CHECK OUT THE BRICK CONSTRUCTION AND THE METAL DETAILS THAT GIVE THE EXTERIOR THAT COOL, MODERN, INDUSTRIAL LOOK! 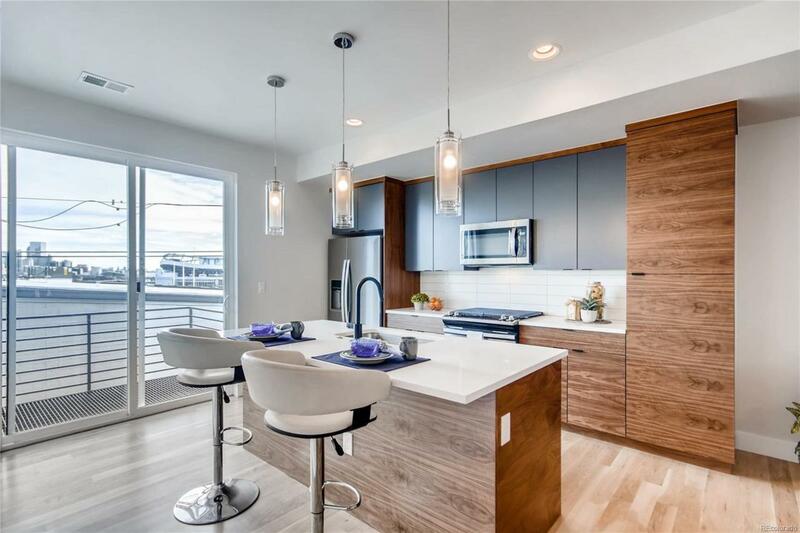 THE INTERIOR BOASTS REAL OAK FLOORS, HIGH END CABINETS, QUARTZ COUNTERTOPS, MATTE BLACK FIXTURES! THE BEDROOM ON THE 1ST FLOOR COULD MAKE A GREAT OFFICE OR AIRBNB! THE ROOFTOP DECK IS SET UP FOR YOUR HOT TUB & HAS GAS FOR YOUR GRILL! THE GARAGE IS 1.5 SPACES SO PLENTY OF ROOM FOR YOUR TOYS! NO EXPENSIVE HOA, JUST A PARTY WALL AGREEMENT. THIS BUILDING WAS BUILT TALLER THAN THE OTHERS SO YOU HAVE MOUNTAIN & CITY VIEWS! Offered by Denver Luxury Real Estate.